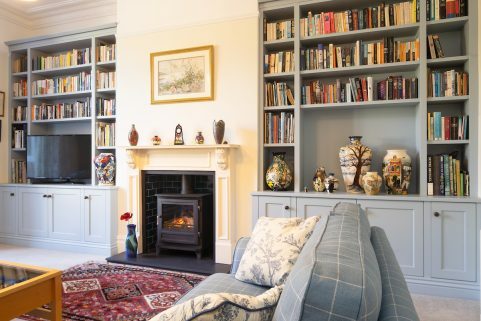 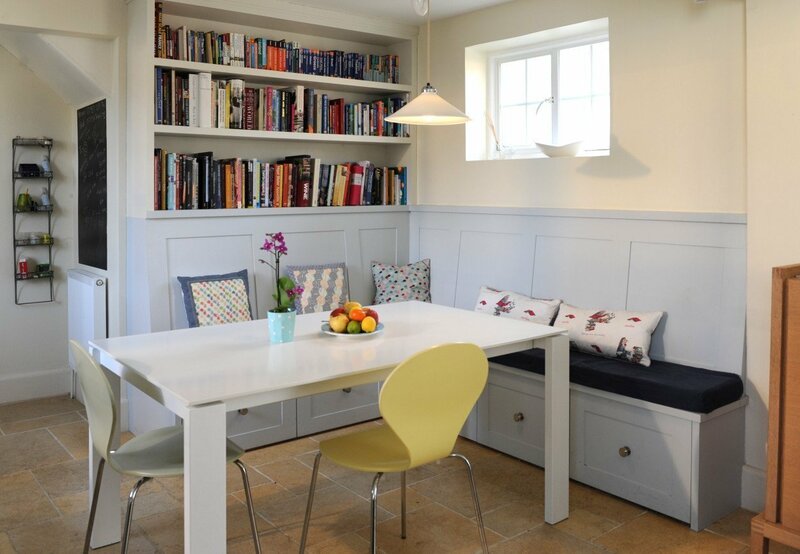 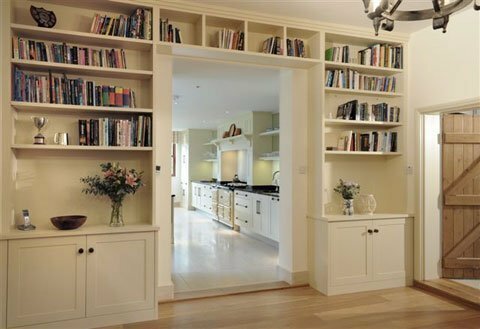 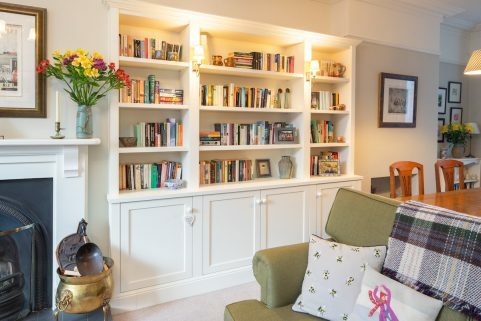 This little space in the living room neatly houses both a mini library and concealed home entertainment centre- and adds bags of character. 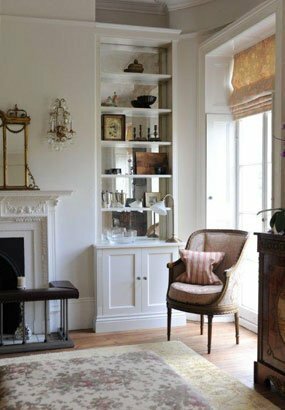 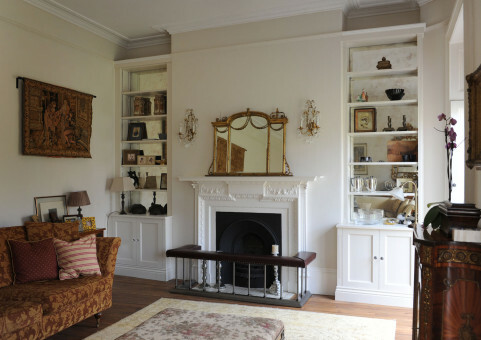 This Regency drawing room now has a place to display objet whilst enhancing the focal point fireplace. 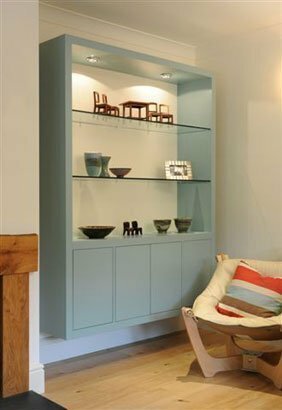 This useful room divider is the perfect home for the owner’s collection of objects whilst neatly separating the TV area from the larger entertaining space. 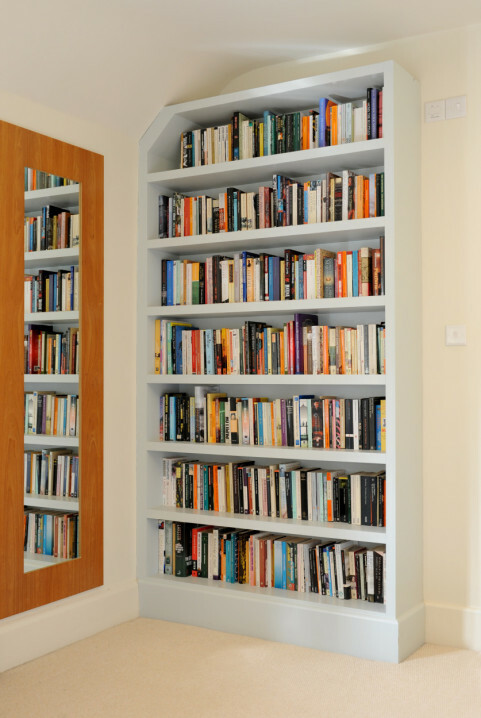 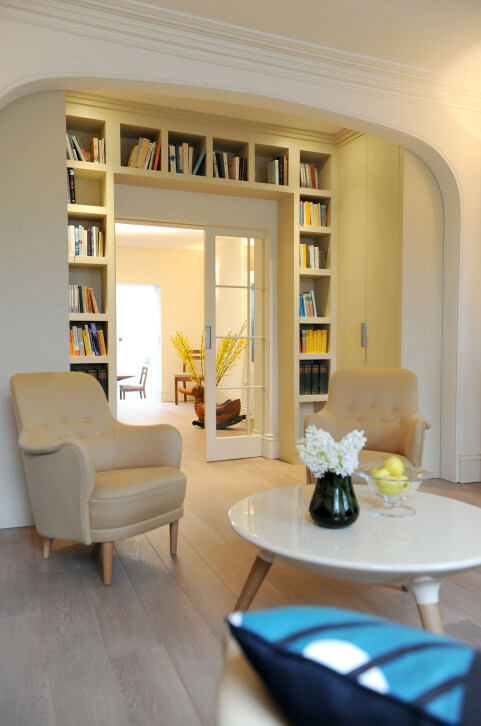 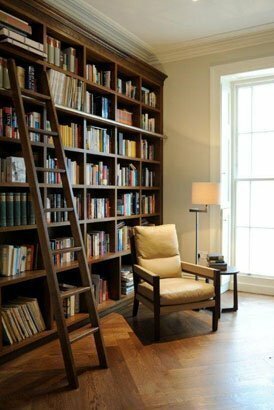 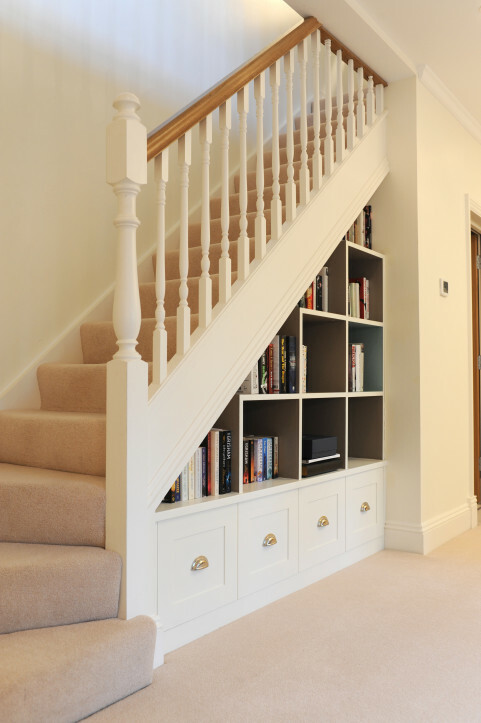 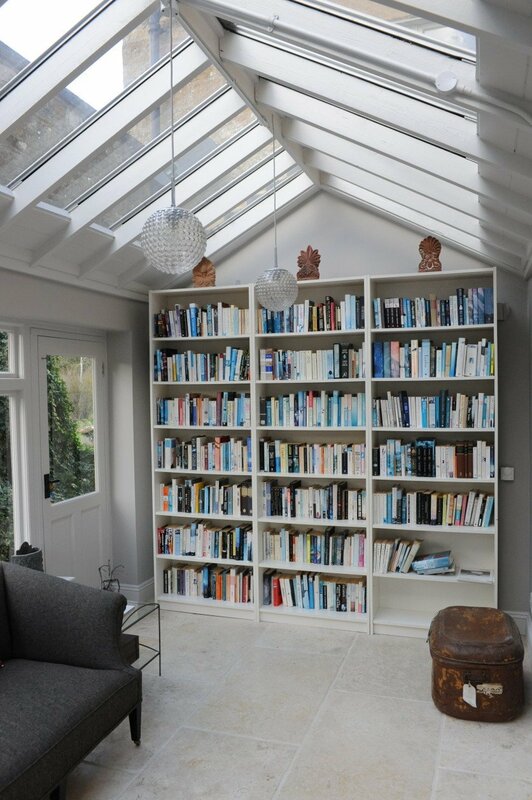 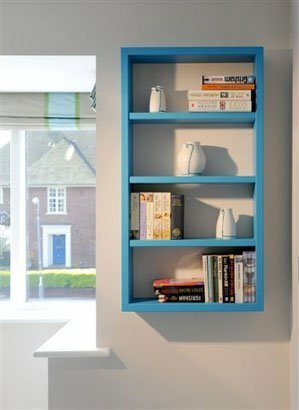 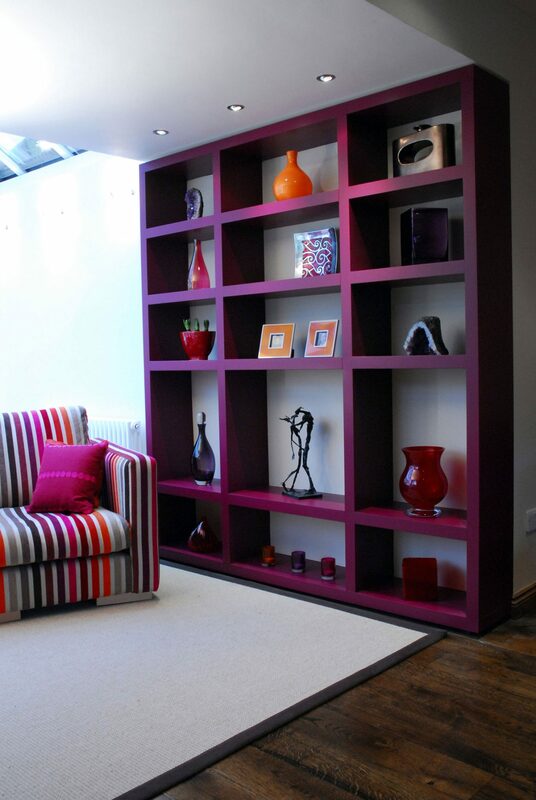 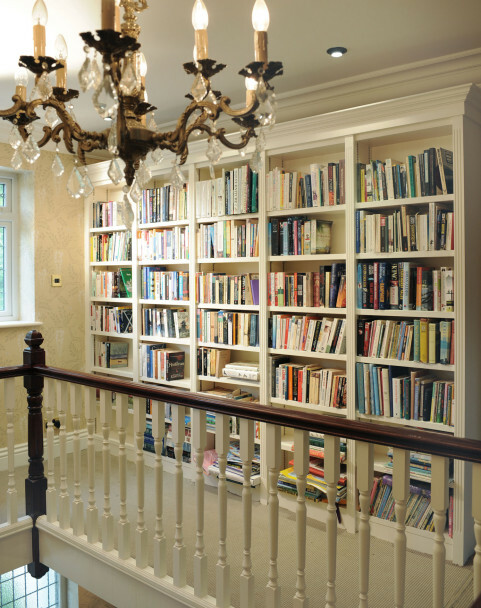 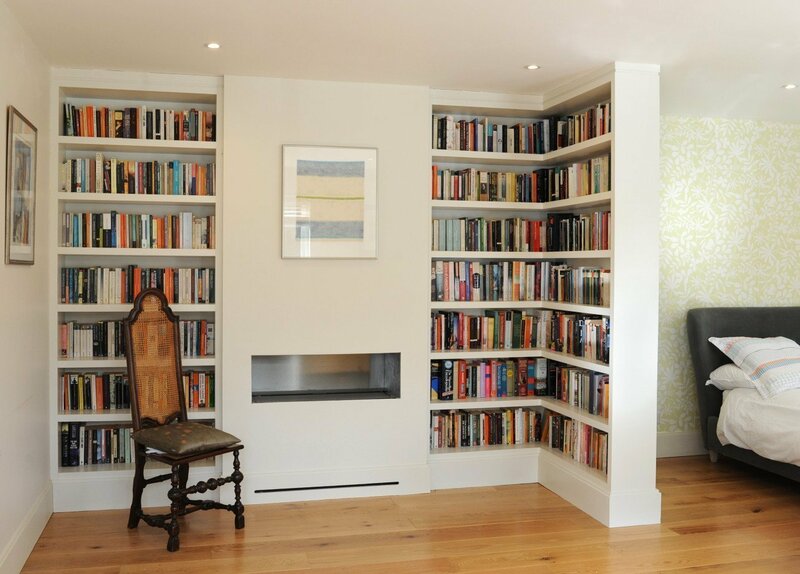 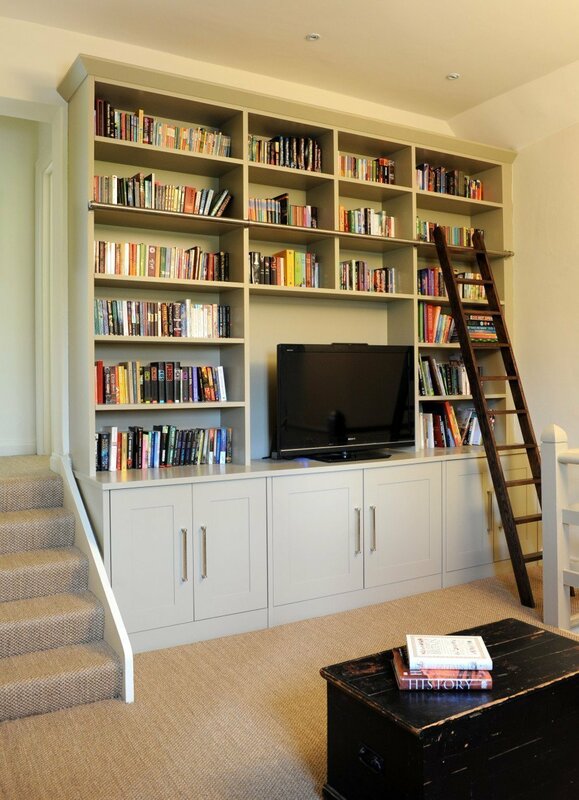 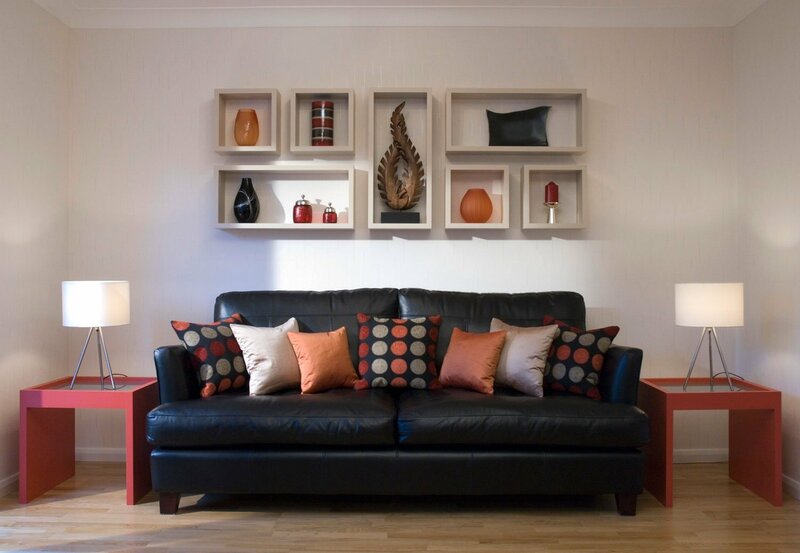 This bookcase allows the owners to have all their favourites to hand and turns the books into stylish accessories. 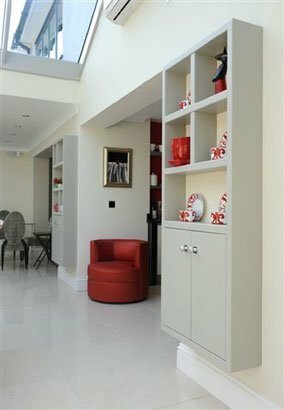 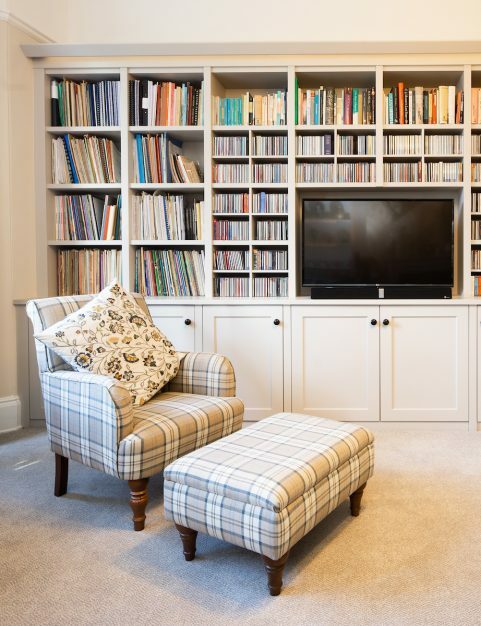 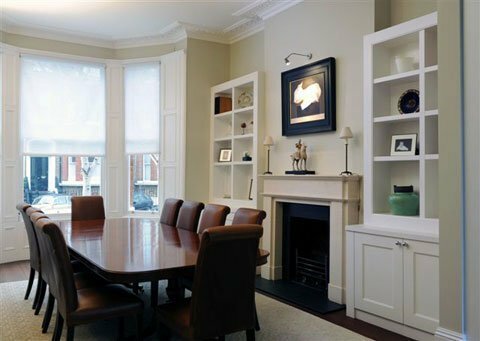 Providing the storage for the TV and equipment was only half the brief here, as display area for pictures and decorative effects as well as coordinated end tables tie the whole scheme together beautifully. 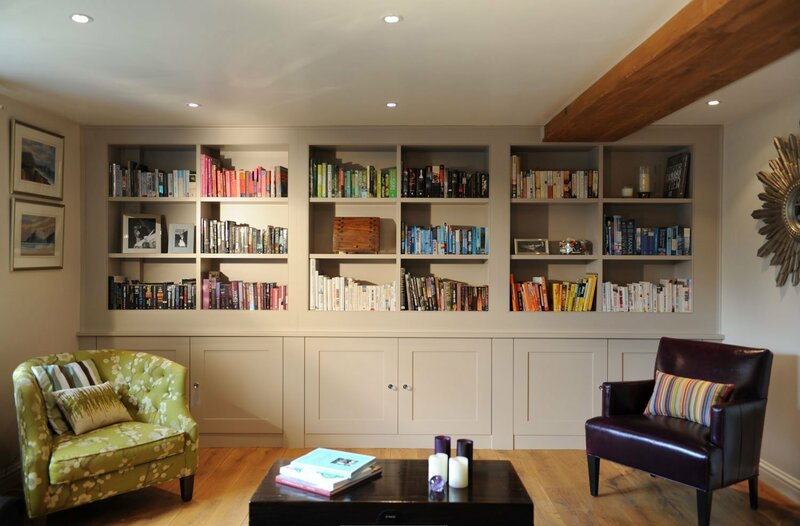 This L-shaped open plan living area was zoned to allow a space for watching TV, relaxing with the paper, or family dining as well as displaying their collection of objects.